-13 seasons, 11 playoff appearances, a NBA scoring title, 12 time All Star, and 3 NBA Championships. Now, with that line of accomplishments, oddly enough, you'd think I'm talking about the legendary Lebron James. I mean, their accomplishments are quite similar to be honest. Lebron now has 3 titles. Only one NBA scoring title. Lebron has been an All Star his whole career. However, I'm not talking about Lebron. I'm talking about one of his best friends and former teammates, Dwyane Wade. One of the top 5 greatest shooting guards of all time, and to many, he is top 3. Wade has become a pilar of consistency through his career despite injuries and setbacks. The kid from Chicago has recently made a big decision to come back home and join his hometown team, the Chicago Bulls. The media frenzy since has been almost on the level it was for KD going to the Warriors, and it shifts the balance of power in the NBA in a major way. But I'm getting ahead of myself. Before Wade even stepped foot on a NBA court, he was making waves in the sports world. As a college player at Marquette, Wade was truly something special, as he would prove his viability by leading the Golden Eagles in his first season with points, steals, and carried them to their best record in almost 10 years. 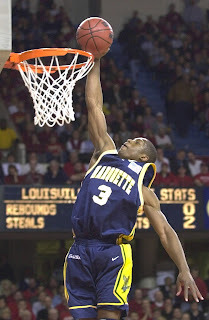 It would be his next season that truly was his shining moment, as he would lead them in scoring once again, and helped Marquette garner their first Conference USA Championship and their first Final Four spot. Wade was named to the All-American First Team and his shining moment in the NCAA tournament came when he put up an exceptional triple-double against Kansas, with a 29 points, 11 rebounds, and 11 assists performance. 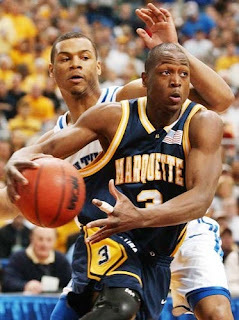 His rough upbringing and tumultuous relationship with his mother is probably a huge fuel for Wade, and with his success in college, and lack of family structure, he took the best option for himself and would go into the NBA Draft for 2003. No one knew what to expect from the kid, or what number he would be picked at, but his performance in the NCAA tournament guaranteed he would go in the first round. 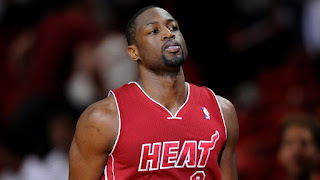 After selection like Lebron James, Carmelo Anthony, and Chris Bosh, Wade was selected 5th by the Miami Heat. His rookie season is truly overlooked, but he played well, and ended up leading the Heat to the playoffs in his first year. After a win in the first round over the New Orleans Hornets, the Heat pushed the 61 win Indiana Pacers team to a 6 game series. Dwyane had arrived already and he would finish third in Rookie of the Year voting, while still making the All Rookie First Team. A huge accomplishment for sure, and the beginning for the Flash. The following season, the Miami Heat would trade for Shaquille O'Neal, and everything would change. 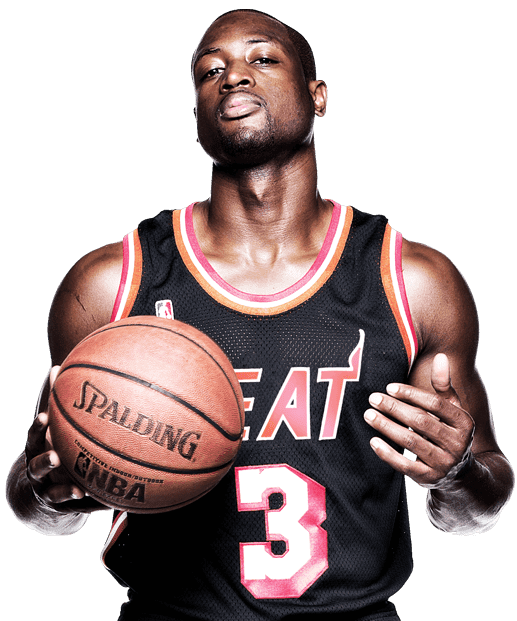 Now backed by one of the greatest big men, Wade would have a huge breakthrough year, averaging a higher PPG than his rookie season, being selected to the All Star game, and leading the Heat to the no. 1 seed in the East with a 59-23 record. The Heat would make it to the Conference Finals, only to lose a tough 7 game series to the Detroit Pistons. However, the notice was served that the Heat were coming for a NBA Title. Wade had some breakout performances all throughout the playoffs and of his entire draft class, he would be the most successful at the time. The next season would be his biggest moment up until this point, as he once again was named to the All Star Game, finished the regular season with 27.2 PPG, and led the Heat to the NBA Finals. Wade was one of the most prominent players in the league and this is his single greatest season to me, because of how he showed up in the playoffs and fought off injury. He brought the Heat back from a 0-2 deficit and put up some amazing games to help the Heat win the title in 6 games, and won a Finals MVP award for his superb play. Wade put on one of the greatest NBA Finals performances ever and the 2006 Championship is his most prized of his three titles. 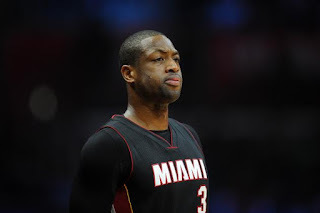 Injuries would begin to show up more and the next season would begin it with Wade missing 31 games. The Heat made the playoffs, but lost in the first round. 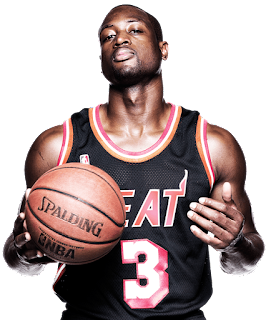 The next season, Wade dealt with knee issues, and battled through them on the season, but he needed treatment and would miss more games. The injuries were already taking a toll, though Wade was technically in his prime as a player. He would officially cement his legacy as a player in the 2008-2009 season, winning the scoring title in what has to be his single greatest regular season. Averaging 30.2 PPG on the season, Wade would have career high games, break records, and finish with over 2,000 points, 500 assists, 100 steals, and 100 blocks on the entire year. Amazing. The Heat would make the playoffs as well, as a fifth seed, and Wade was a 3rd runner up in the MVP voting (which means IMO he was the 3rd best player in the league during this period, which was the Kobe to Lebron transition period). However, Wade asserted himself as a top tier player this year and he would come back just as strong the next year, winning the All Star Game MVP award and once again leading the Heat to the playoffs. Unfortunately, the Celtics stopped the Heat, and would also stop the Cavaliers from reaching the Finals that year. And this is where people tend to neglect the first chapter of Wade’s career, because after both the Heat and the Cavaliers lost to the Celtics in the playoffs, Wade and Lebron, the two best players for each team, would team up with Chris Bosh to form the big 3. 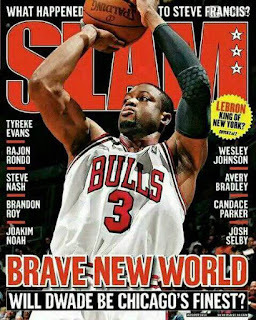 However, that's where I'll stop my introduction, and get some more opinions on Dwyane's career and legacy from the team. I'll be back for the outro. Dwyane Wade's impact on the NBA isn't as strong as LeBron James' or Kobe Bryant's impact, but it's a strong one nonetheless. He put Miami Heat basketball on the map, bringing them 3 Finals championships and helped them become a respected franchise in the NBA. The team that was once seen as a joke to some is now prestigious thanks to Dwyane Wade. It will always be his team. 20,000 points isn't the only impact he had on Miami. His charity work for Miami is the stronger impact. He has helped so much in Miami and has done a ton for them, to the point where Miami residents may consider him a bigger Miami legend than Dan Marino (which I personally don't agree with). He is remarkable, and a great talent. 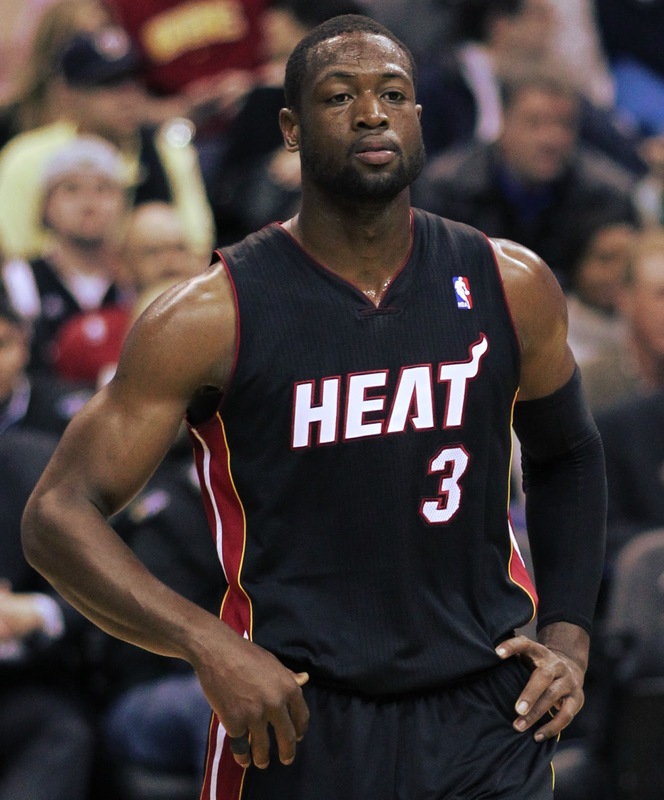 To me, Dwyane Wade is always going to be known as one of the Top 5 shooting guards to play the game. From the moment Wade got to the NBA, he without a doubt made his presence known. His ability to score in any way was absolutely must see. I mean Wade would do some daredevil stuff just to score a bucket. I think Wade really arrived during the 2006 NBA Finals vs Dallas where in games 3, 4, and 5, he managed to score 42, 36, and 43 points. Through the rest of his career, Wade always stepped up in big time games and never backed away from the big time moments. As his career goes, you can see Wade’s age and all the injuries he’s had started to catch up to him as he doesn’t have the same burst of speed like he used to, but Wade still manages to make big time plays. To me Dwayne Wade made the Miami Heat franchise very relevant and many Heat fans or Basketball fans in general will tell you that. The things he’s done for that franchise will always make the people of Miami forever grateful of him. It’ll be different seeing him in a Bulls uniform this coming season. Dwyane Wade’s legacy as a basketball player will be submitted as a Top 5 shooting guard of all time. -The legacy of Wade. From his dunk on Anderson Varejào to his 2006 Finals MVP to his scoring title to his run with Bosh and Lebron that got them to the Finals 4 straight times to his injuries piling up, it seems as if Wade has a truly storied career. His most slept on accomplishment to me is the leadership role he really had during the Big 3 run in Miami with Bosh and Bron. 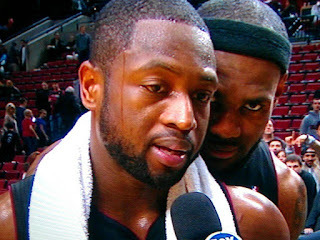 Wade was right there scoring and contributing, he was not CARRIED by Bron, as some have said. Wade was clutch for the team, a huge scorer, and while not the same explosive scorer he was when he had no other stars on the team, Wade was still one of the best shooting guards in the game, if not the best. After the 4 consecutive appearances in the Finals with the Big 3 era, and 2 titles in those 4 appearances, Wade became the biggest star left on the Heat, but injuries really boggled him down as time went on. 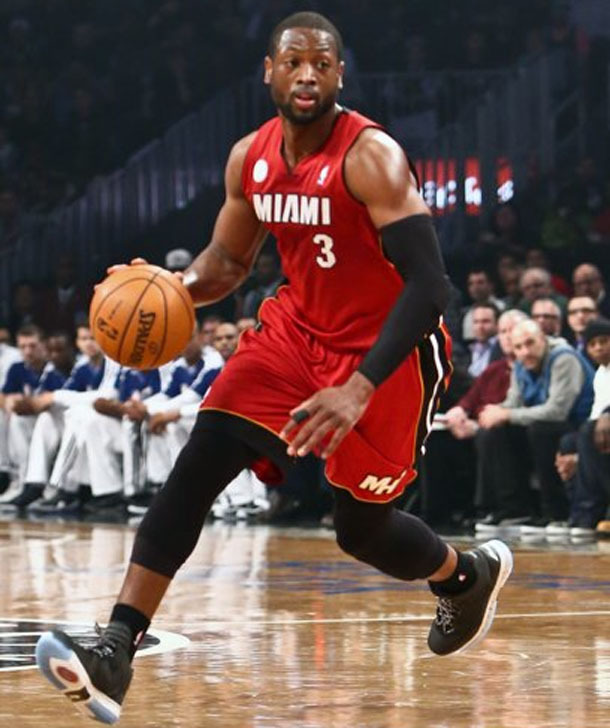 We hadn't seen prime Wade in quite some time, but after the Heat missed the playoffs in the 2014-2015 season, Wade and the rest of the young squad led them to the playoffs this past season. That might be the greatest accomplishment for Wade in many ways. He truly showed up and led his team when they needed him the most, carrying the Heat through the first round over a hungry Charlotte team, and took the Raptors to the limit in a 7 game series. 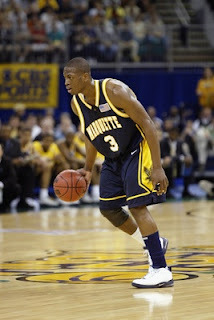 Wade was great in the playoffs and showed flashes of his old self. Unfortunately, Miami didn't seem to care as much about Wade's contribution and leadership and after years of taking lower offers to look out for the organization (out of loyalty.... which was a mistake), Wade had enough. He left the Heat and I don't think you can blame him. Wade has a last hurrah in him. He showed he can play at the top and still could almost reach the Conference Finals without Bron or Bosh. Imagine if Bosh was healthy in the playoffs, we would probably have seen Miami vs Cleveland in the Conference Finals. Regardless, Wade showed and proved that he was still the man. The Heat didn't want to pay him, so Wade went where he always wanted to play as a kid: home. 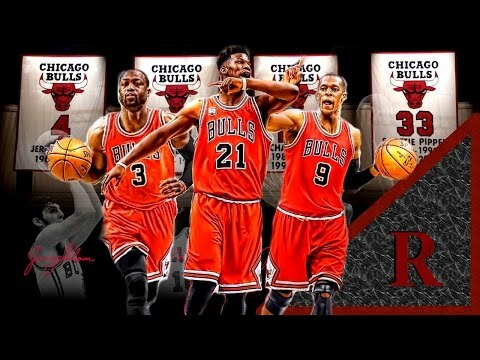 Wade signed with the Chicago Bulls and this is a very telling season for Wade, and the Bulls in general. Acquiring both Wade and Rajon Rondo, along with the rising star of Jimmy Butler, the Bulls have to be a big contender going forward I would suspect. Wade has to show once again that he is still able to go like he used to or at least show some flashes of that brilliance. I think he will. The legacy of Dwyane Wade is still being written and a new chapter begins this upcoming season. It'll be interesting to see how it plays out.